Tony Gilham, founder of Tony Gilham Racing and Team-HARD. After a successful year running his own car in the MR2 Championship back in 2005, it has always been Tony’s ambition to run his own racing team and make it to the panicle of UK motorsport. The journey continued in 2007, it saw Tony and his team become the VW Cup champions. In 2008, Tony moved up to the Porsche Carrera Cup GB, which is a prime support race to the British Touring Car Championship where he finished as runner-up in the pro-am1 category, losing out by just 1 point. In 2009, he joined one of the more experienced Porsche Carrera Cup teams in order that both he and his team could learn from them and further develop their knowledge. In 2010, Tony and his team decided to again go it alone and have another crack at the Porsche Carrera Cup pro-am1 championship under their own banner where Tony finished a creditable 3rd. In 2011, Tony decided that it was time to enter the biggest motor sport stage in the UK, outside of Formula 1 when he moved in to the British Touring Car Championship where again, he and the team gained some valuable experience with a long established team. With Tony opening his own garage towards the end of 2011 in partnership with Prestige Performance Center GB (PPCGB.com), the decision to once again run a racing team in 2012 was an obvious move. With the new premises, equipment and qualified full-time staff to support all aspects of running a racing team, Tony was soon in talks with drivers about this season. 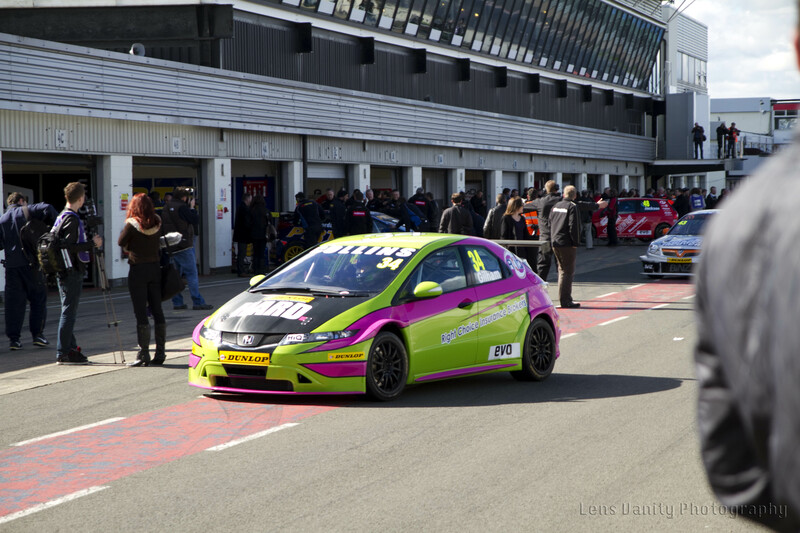 That year began well competing in the BTCC with a Honda Civic and also the VW Cup. The team ran 3 cars in the season’s VW Cup, 2 in the VAG Trophy and 1 in the Track Day trophy. Half way through the season Tony took the decision to step out of the car and go into team management full time. Allowing other drivers to step into the hot seat. Howard Fuller, was the first and did the team proud with some great finishes. Aaron Williamson was the last person to step into the car and after a great qualification he had a great run but was wiped out by another driver and the car was left un-repairable, his weekend over and so was the season. This season Tony has stayed out of the seat and continued with team ownership and management. Not being contempt with running just 1 car in the BTCC, this year Tony set his sights on being, one of, if not, the biggest BTCC Team on the grid, so he and the team set forth, signing top drivers such as Tom Onslow-Cole who ran with eBay motors last year and finished a very respectable 6th overall. They also signed current Renault Clio Cup Champion Jack Goff and to complete the trio former Formula Ford Champion James Cole was signed. With 3 rounds done, as it stands, the season has been a success!!! The last round at Thruxton saw Tom Onslow-Cole, have 2 independent WINS and a 2nd and 3rd overall, for a car that is less than 5 weeks old it shows that Team-HARD. / Tony Gilham Racing can produce and set up VERY competitive race cars!!! So. . . . What does the future hold for the team. The 2nd Passat (4th car in the stable) is being caged and should be on the grid for the second half of the season. Beyond that, they will look after other race cars, service and maintain them, this includes a fleet of historic race cars such as Falcons, camaro’s, E36 and E46 BMW M3’s and a few more. Along side the racing the PPC tuning garage is still running so Tony doesn’t have much time to himself but it is all for the good of the team and the company.